For in-store inquiries, use sku #2460665. A.L.C. 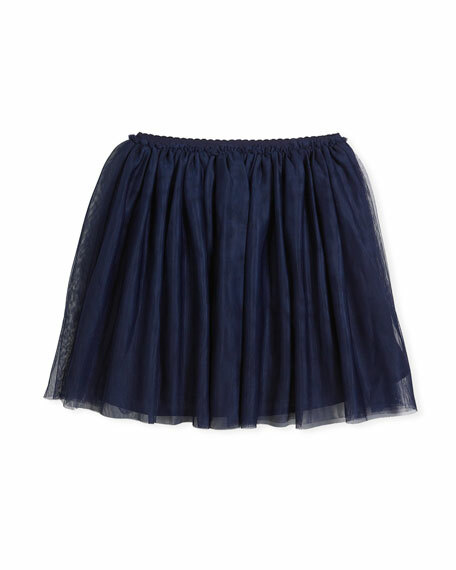 "Hedrin" pleated skirt. Approx. 34.3"L down center back. Smocked waistband. A-line silhouette. Midi length. Pull-on style. Polyester. Unlined. Hand wash. Imported. 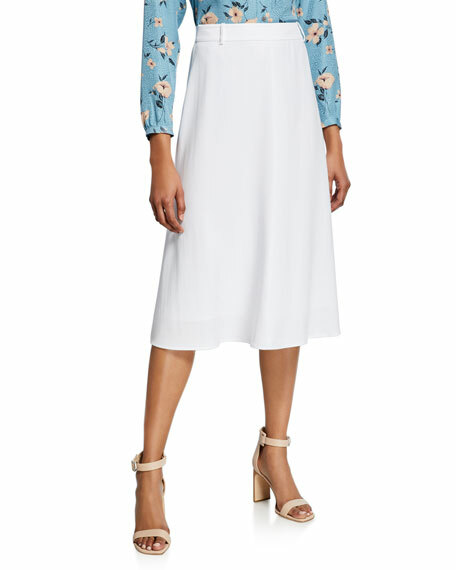 Karla Colletto "Zelda" coverup skirt. Elasticized waistband. A-line silhouette. Mini length. Pull-on style. Rickrack trim. Nylon/Xtra Life Lycra spandex. Hand wash. Made in USA of imported material. 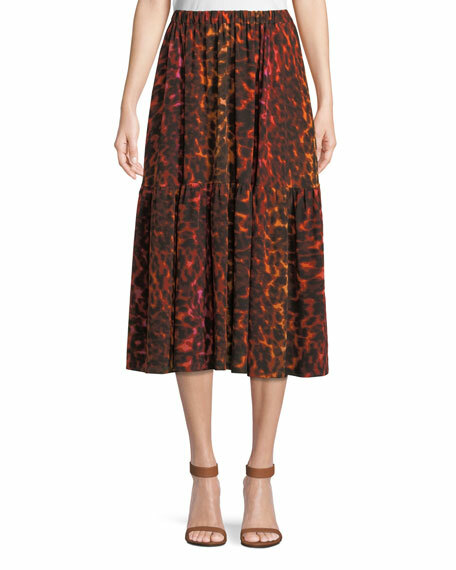 Stella McCartney silk skirt in neon animal-print. Natural rise; elasticized waistband. 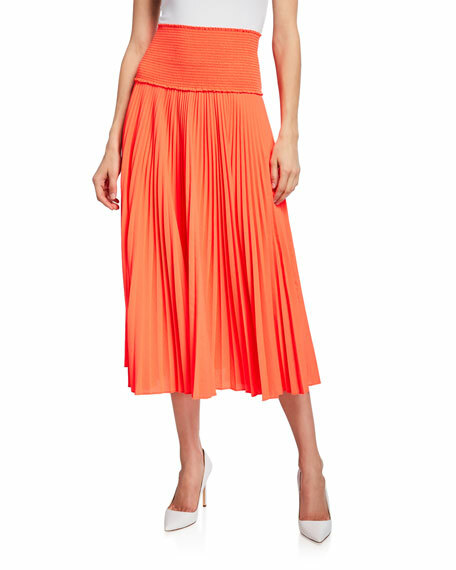 Pleated, two-tier A-line silhouette. Pull-on style. Midi length. Imported.